In a paper published in Nature Immunology, Assistant Professor Kevin Mills, Ph.D., and Postdoctoral Associate Muneer Hasham, Ph.D., demonstrate a vital balance between a DNA-repair protein called XRCC2 and a DNA-breaking enzyme known as activation-induced cytidine deaminase (AICDA) in immune system cells called B cells. The human body is constantly barraged by the outside world. Foreign substances, particles and microorganisms, collectively known as antigens, try to enter. And while the immune system mounts a protective response, there’s a basic problem. Each person’s immune system must respond to tens of millions of distinct and different antigens, armed with only about 20,000 genes. The solution? The immune system uses the same stretch of DNA to make large numbers of different antibodies by patching together different segments in different ways. Think of the word “Saskatchewan.” By extracting different letters, you can make a number of different words: skate, chew, sat, hen and so on. In the same way, the immune system is able reshuffle segments of DNA to respond to a huge number of antigens, and to fine-tune the immune response to individual antigens. These are elegant systems, but they require that the DNA be broken and patched back together often, and with high precision. XRCC2 is a key player in high fidelity repair in non-immune cells. Mills and his team have now found that XRCC2 is needed to protect the genome of B cells. Its absence leads to a high frequency of DNA breaks, which in turn can cause cells to die or become critically unstable. AICDA breaks the DNA and XRCC2 repairs it. But in the Nature Immunology paper, Mills and Hasham show there is an unexpected twist to the story. The reasons behind such a seemingly high-risk system are unclear, but the consequences when it doesn’t function perfectly may be obvious. 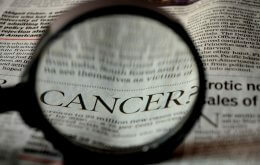 In addition to possible immunodeficiency problems, too much damage might lead to cancers such as lymphoma and leukemia. There are many questions remaining to be investigated, but the findings have important potential implications. In particular, there may be ways to provoke increased DNA damage in cancer cells that lead to catastrophic failure and cell death. By giving the dysfunctional balance between damage and repair an added push in malignant cells, it might be possible to eliminate those cells with little effect on healthy cells and tissue. Hasham et al. : Widespread genomic breaks generated by activation-induced cytidine deaminase are prevented by homologous recombination. Nature Immunology, Advance Online Publication, doi 10.1038/ni.1909.